When kids love water, it will be easier for them to learn swimming. Luckily there are many ways you can make your kids to love water and that includes: making the most from bath time such as incorporating games while taking a bath so that water is more fun, getting a paddling pool for the kids to paddle and splash in the water, expose your kids to different water environments for them to have different experiences other than the bathtub or the shower for example you can take them to the beach or a pool to get a different experience, enjoy water and be playful since kids are more likely to learn from you, build trust in the water so that kids can be confident that they are safe. There are many other ways of teaching your kids to love water it’s all a matter of creativity. Safety is very important especially where kids are concerned. As a rule of thumb, you should never leave kids unattended no matter how old they are because anything can happen. When it comes to babies they should always be within your reach and should have floating devices if possible. Your pool should be safe and fenced. Rescue equipment’s such as a plastic ring buoy should always be within reach since for kids drowning can happen very fast. The deep end and the shallow end should be clearly marked so that kids can be able to know their boundaries. Kids of different ages learn differently hence you should always consider age before you embark on a water activity. For babies the most important step is making them love water and be comfortable. For toddlers, it is mainly playing fun games that are important for them. Depending on the kid, some can learn floating and getting in water without swallowing water. For older kids you can teach them yourself or consider getting a trainer to do the training for them. The most important part is them learning to float first, and then they can learn other swimming styles. Kids learn easily through activities. 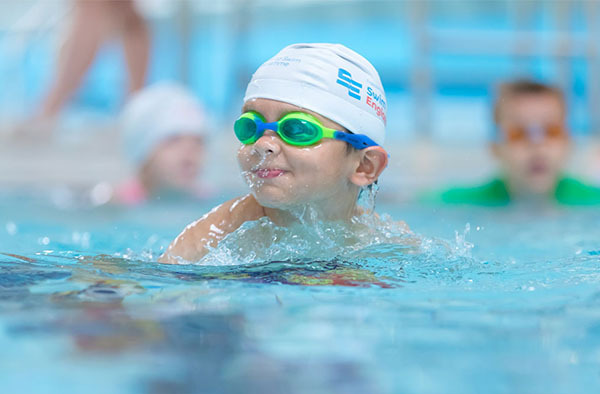 There are many activities that kids can do in the water depending on what mainly interests them. This may include teaching kids to blow bubbles through games such as talk to the turtles, catching fishes among many other games. There are many inspirations of games online that can help them develop different skills and techniques. This entry was posted in Adventure Journal on January 19, 2018 . This entry was posted in Adventure Journal on January 16, 2018 . If you are looking for a holiday that is packed with adventure then Cozumel is definitely a must for your next big challenge. This island in the Caribbean Sea is located off the eastern coast of Mexico and is one of the top holiday destinations in the world because of all the wonderful things that tourists can do when they visit this mesmerizing location. 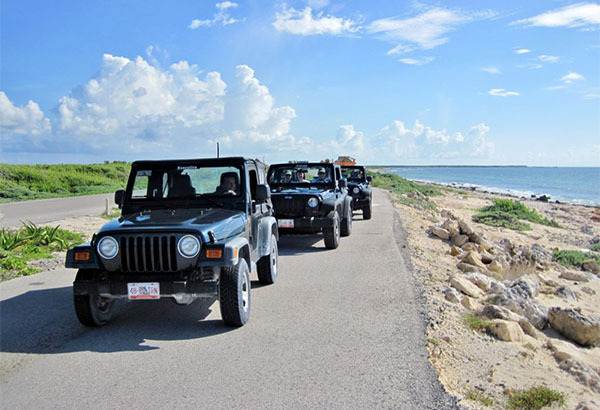 One of the best ways to get around and to see as many wonderful things in one day is by taking a private taxi tour Cozumel. With a private taxi tour, all of your traveling needs are met and you will instantly be taken to all the best spots in Cozumel and you will be able to enjoy all the best adventures. Here are the top things to enjoy if you take a taxi tour. El Mercado is Cozumel’s local market. This is a fantastic spot to get a true sense of Cozumel’s culture, to taste a few local foods and to pick up a few souvenirs to remind you of this splendid adventure. Cozumel’s locals are incredibly crafty and they create the most beautiful handcrafted furniture, decorations, and toys that you simply must check out. A visit to the local chocolate factory isn’t just tasty, it is also very interesting and it is a great place to shop a few gifts for friends and family. This historical site is an absolute must for your trip to Cozumel. When you take a taxi tour a guide will take you through this historical site and you will learn heaps about the historical civilizations that once lived here. This side of the island is locally referred to as ‘The Other Side’ and is one of the best places to spend an afternoon. There are plenty of great restaurants, beach bars, and the beach is absolutely amazing. This park is packed with lots of fun things to do. You can enjoy adventures like snorkeling, bird watching, crocodile watching and much more. 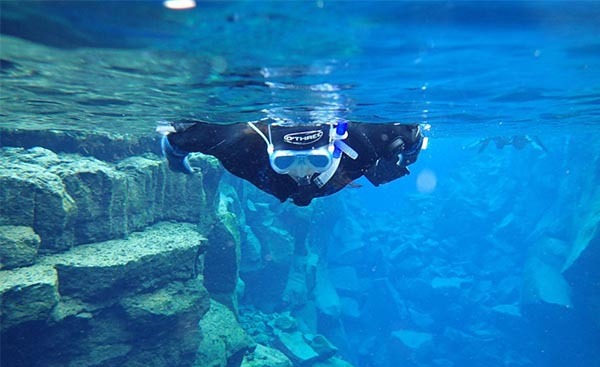 If you love watery adventures then this Marine Park should definitely be one of your stops. You can enjoy various water activities like snorkeling, boat riding and more and there are plenty of shopping spots where you can get your hands on even more souvenirs. Taxi tours are a fantastic idea if your visit to Cozumel is short lived. It is the only way to pack in as many adventures into a single day as you possibly can and to make the most out of this majestic adventure. This entry was posted in Adventure Journal on January 4, 2018 . This entry was posted in Nature on January 1, 2018 . Water adventures are some of the best times you can spend with your family and friends. These occasions are refreshing and an astounding way to get away from the daily tensions. You can go on a water adventure anywhere you live. Even if there is a small lake near your house, you just need the proper equipment and you can make a fun adventure out of it. Before you jump on to planning your water adventure, be sure to check the equipment you have. Every adventure comes with its own set of gear. 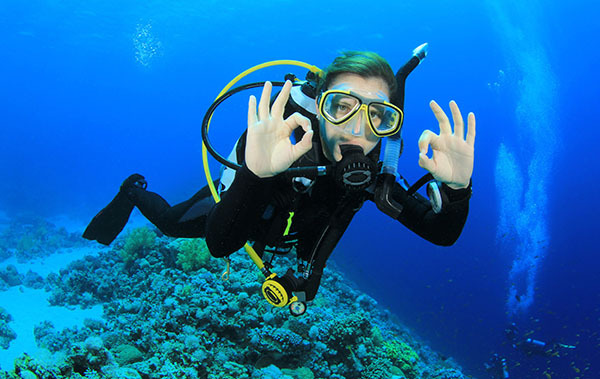 A scuba regulator is essential if you are planning to stay under water and swim with the fish. There are numerous websites, which can offer you Scuba Regulator Reviews and guide you very well to buy the best one. A scuba regulator should fit your face structure perfectly for you to breathe. The air from the scuba tank is delivered via this regulator. Keeping the scuba regulator clean is of utmost prominence. You need to be able to get fresh clean air when you are under water or else you will have a difficult time swimming. 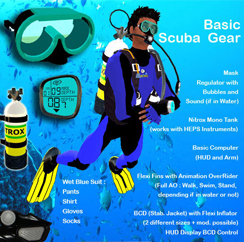 Scuba regulators come in different prices and are produced by various brands. You should read their reviews before you choose one. It is a better idea to go and try on these masks and make sure they settle on your face. Goggles are a must-have when you are going on a water adventure with friends. They assist you see underwater and makes the whole adventure fun. Especially when you are going to a new place and you do not know what the underwater scene will be, you should get goggles. Goggles come in different colors, and sizes. You can choose the color of these according to your requirements for seeing underwater things. If the color you pick is blue, everything will have a tint of blue. If you choose pink, everything will have a tint of pink. Make sure the goggles are not too tight or too lose on your face. If they are very tight, your head might start hurting. Nevertheless, if they are loose, the water will rush to your eyes. Therefore, pick a pair that fits you. Be aware of sharing your goggles with someone else because that can damage the size and fitting. Even if you are not going to swim underwater, an air tank should always be at the ready when you are going on a water adventure. An air tank allows you to catch up on short breath. It has been noticed that several swimmers and individuals who go on water adventures, realize that breathing after swimming is a difficult task. For such situations, an air tank will be necessary. You need to keep it filled. You should also learn how to use this tank in case of an emergency. Most people panic when they are short on breath but if they know how to use this tank, they will not face any problem. A life jacket is another item you should keep when you are going anywhere near water. Life jackets have saved millions of lives over the course of time. Whether you are going with a group of adults or kids, always keep life jackets with you. You should buy yourself a branded life jacket so you can rely on their quality. A good life jacket will make your adventure easier and much safer. It is always good to be prepared because with water, anything can float. This entry was posted in Adventure Journal on December 23, 2017 . There are so many things that we can do in life that can be considered an adventure. It all depends on what you are interested in. For example, if you love the water, you can choose water activities that you can surely enjoy. Kayaking might seem like an easy task in the beginning but if you are all excited and you do not know what to do, you will end up swimming in the water. It is not exactly the activity that you want to do when you want to stay dry but it does not mean that it cannot be fun. You can find more details about how you can enjoy kayaking more when you check tips online from reputable sources such as KayakLove.com. You will gain more details about how you can use your kayak perfectly well. When you already know how to kayak, you are going to feel a rush that you have never experienced before. You can glide through water easily and you can play anywhere you like. It does not matter whether you are in freshwater or saltwater, you are still going to enjoy the experience. It is through kayaking that you can take a look at the world around you and realize that it is so much different from what you are used to. It is a fun activity that a lot of people enjoy and there is no doubt that once you try it, you can get to enjoy it too. 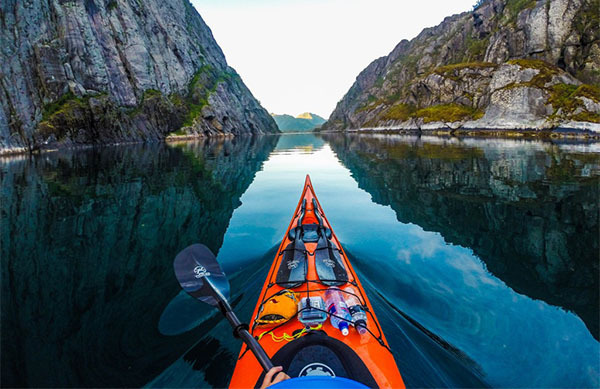 Kayak Touring – This will allow you to kayak slow or fast depending on how you would like to see the world around you. You can look at the beauty of things and just appreciate and enjoy the ride. This is best done at bodies of water that does not come with any obstacles so that you can just soak up and enjoy the ride. Sea Kayaking – This is best done at the sea. You can take a look at the hidden wonders near the coastline and just bask in the beauties that you will not be able to reach by foot. There are different remote areas near the coastline that can be reached by kayaking. Make sure that you know where to go. Kayak Surfing – This is one activity that you can do if you want to unleash your adventurous side. You can go through rushing rivers or even drop on a waterfall with the use of your kayak. This can give you a big sense of rush that you will not experience elsewhere. There are also some people who can do tricks while doing this. Some people have loved Kayaking so much that they do it to compete with other people. You can do this too as long as you have trained hard for it. You cannot compete when you are a beginner as you may only end up hurting yourself. This entry was posted in Adventure Journal on December 17, 2017 . This entry was posted in Adventure Journal on December 15, 2017 . Try being deliberate: When you decide to hunt, the very first thing to keep in mind is you have to be as slow as possible be it walking or talking. Try to stop as long as possible and stand still. It is always a good idea to keep checking your watch to keep track of the time periods to stay still. Don’t move on hearing a noise: If you are likely to feel a deer somewhere around you, it is better to stick to your place and hide in the bush or behind the tree. Stay calm for some time and do not panic because deer may take a while to stare but just know that it will go away after a few minutes. Handle with care: If you are hunting for the first time, remember to still hunt rather than following the prey because you never know that your prey could also get wild and attack. Try knowing the quarry’s pace: Choose your destination according to the direction and speed of your prey. 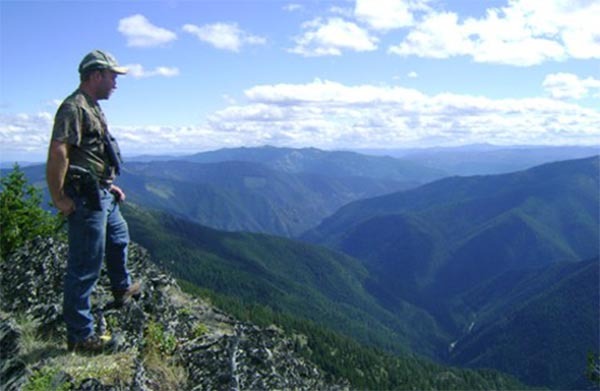 Before you start to hunt, analyze each and every move of the quarry. You can make use of a trail camera to track movements of the animals so as to observe their movement patterns, what times they come out towards the bushes etc. Clear the lanes: When you have taken your position either in a bush or behind a tree, try to take such a position from where you can attack in all the directions. It is better to take a position that does not have to make you move over and over again. Be brave and don’t give up: Sometimes it takes more than the usual time to find an animal and hunt him down, but that doesn’t mean you have failed at hunting. Just don’t give up and start looking for smaller spots where you think something might be hidden. Watch out of the quick drop: When you have shot an animal, some might drop at the shot but may recover quickly and start running again. So instead of getting scared, prepare yourself for another shot. As soon as the animal gets up, shoot him again. Clear the clutter: It is always a smart idea to clear the unnecessary bushes for the area where you are hiding, this will help to make the least noise when you are to approach an animal. This entry was posted in Adventure Journal on December 14, 2017 . Most of us go to the same old vacation spots during our holidays, coming back home to work thinking we have wasted our holidays. If you fill your vacation with adventures and go to different places to witness different adventures, you come home feeling revived and rejuvenated. During a fun-filled adventurous vacation, you get once in a lifetime kind of experiences, and you feel much better than spending the same old annual vacation. If you think these vacations are very expensive and might be heavy in your pocket, you are wrong. If you look out for the proper promotions and sale offers, you can get a good adventurous vacation at a reasonable price. Yes, that’s true, it is not a joke. We all know only pilots can fly a plane, and we can only watch as an audience if we don’t know how to fly even if we want to but this is not true in New Zealand. A normal, ordinary person, with little or no knowledge about flying planes, can fulfill their desire of flying a stunt plane. You can take control of the plane, flu upside down, twist and turn the plane as you want. It is once in a lifetime experience, which completely mesmerizes you. Mexico is one of the most attractive countries, and Cozumel is its most visited tourist attraction. 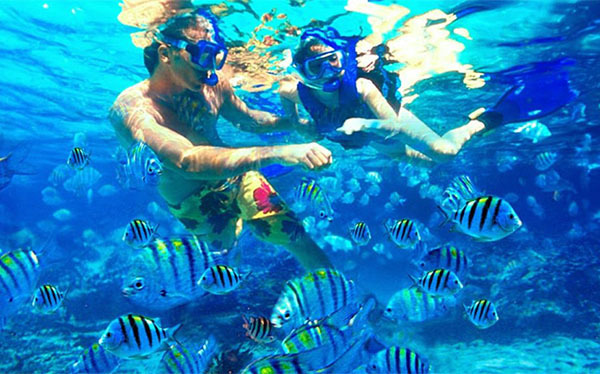 Approximately three million tourists visit Cozumel every year mainly because of the snorkeling and fishing activities. The El Cielo Cozumel tours for snorkeling are the best snorkeling tours you can hire. They are at your service and make sure your adventure is comfortable and full of fun. They make sure you don’t have to face any mishaps. The guides are educated and well conversant in English. They have a lot of experience in their line of work, and they ensure you safely go through with your snorkeling adventure. The El Cielo Cozumel snorkeling tours provide you with all the equipment required for snorkeling and let you visit two reefs and one sandbar in the Cozumel marine park where you can witness a number of beautiful underwater species. They get you to the Palancar garden reef, Columbia shallow reef, and El Cielo sandbar, which are all a part of Cozumel Marine Park. The party consists of maximum ten members and leaves at nine thirty am sharp every morning. If you want to make a private tour, a tour for six-party members also leaves at one thirty pm if you book it. This trip is optional; it does not go every day unless party books it. Abel Tasman is known as the adventure capital of the world. Skydiving above Abel Tasman is one of the best adventures you can ever have. The weather conditions here are perfect for diving, so last minute cancellation of plans rarely happens due to bad weather. The area is beautiful, and you are taken aback once you dive from the carrier plane, due to the beauty of the land beneath you. 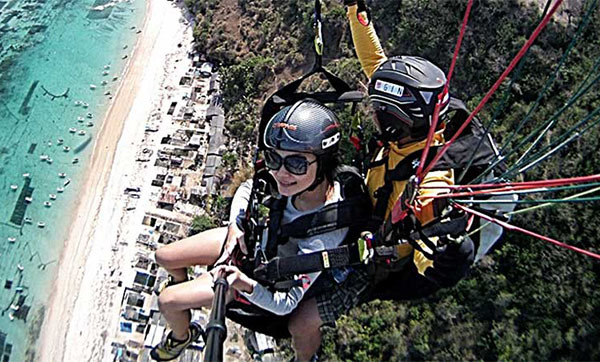 You get to jump from sixteen thousand feet above the ground, which is higher than usual skydiving altitude. Due to that, you get extra fall time as well. If you are a true adventure lover, you must try whitewater kayaking. It gets a little scary but is absolutely thrilling and gives you a huge adrenaline rush. You get one of the most amazing feelings while whitewater kayaking in the Madawaska River in Ontario, Canada. It is very high, and you have to become comfortable while flipping during the whitewater kayaking as you have to navigate your vessel down the rapids. There is an amalgam of feelings inside you; you feel scared and excited at the same time. This entry was posted in Adventure Journal on December 11, 2017 .